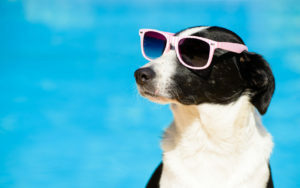 It’s the hottest time of the year, but you can take a few cues from Fido to stay cool during these dog days of summer and keep a tight leash on energy use. Throw your air conditioner a bone. When it’s hot outside, your air conditioner needs all the help it can get. Open interior doors and vents to help air circulate and reduce the strain on your HVAC system. Along with that, close exterior doors and windows, as well as any blinds, shades or curtains, to help keep the heat of the day out and cooled air in. Put your energy use on “paws.” Waiting to use major appliances, especially those that generate heat like the clothes dryer and dishwasher, until the late evening, overnight or early morning hours can help your home stay cooler. Also avoid using an indoor oven or stove, and grill out or try a cold meal like a salad instead. Check out carolinacountry.com/grilling for inspiration! In addition, if you go out to eat, ask for a “doggie bag” and eat the leftovers the next day instead of fixing another meal. Fetch a fan for easy savings. Instead of turning down the thermostat, opt for a ceiling or portable fan. Make sure your ceiling fan turns counter clockwise during hot weather to push cool air down. Remember to turn fans off when you’re not using them; fans cool you, not the room. Get more bang for your bark with energy management tools. The state’s electric cooperatives offer a number of tools that can help you take control of your energy use and budget. Contact your local cooperative to find out more. For more tips, visit the Energy Tips page on our website.